Managers of legal information resources need to demonstrate their value to internal stakeholders as well as procure the right tools at the right price. This is easier said than done. In fact, a multitude of factors contribute to optimal resource management and contract pricing, including: assessing the value and effectiveness of current resources, new products on the market, where to find efficiencies, improving legacy contract pricing, de-bunking vendor promises, understanding usage and recovery rates, and more. Feit Consulting’s Market Trends Series™ are downloadable guides to help managers of information resources achieve these goals and demonstrate their value to internal stakeholders. These sophisticated, information-rich resources are packed with actionable insights and crafted with the decades of experience of the industry’s most trusted information services consultancy. Each Market Trend Series purchase is a site-license and is available for you to share firm-wide. Negotiate from a better position. Gain insight into historical and current pricing strategies of the market-dominant forces. 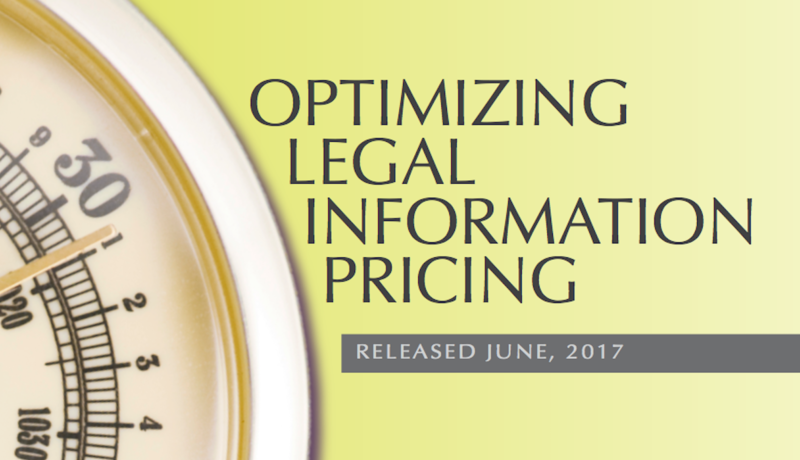 This extensively detailed resource includes survey results and data on 98% of the large law market. Is Sole Provider a viable option for your firm? More firms are taking this path—is yours ready? This guide walks legal information administrators through the pre-decision process and lays out the groundwork necessary for informed decision-making regarding vendor elimination. Most firms have switched successfully to a sole provider. 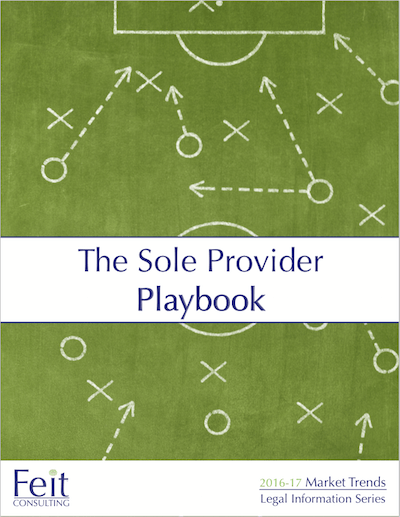 This resource provides everything you need to assess, decide and successfully transition to a sole provider and includes checklists, survey results and tools. The Sole Provider Playbook shares detailed steps for evaluating and assessing whether retaining only Lexis or Westlaw is a viable option for your firm. The Playbook includes the process for developing the business case, the market data on the sole provider trend, the steps to take to conduct a thorough Gap Analysis, as well as a listing of content hurdles and possible solutions. Feit Consulting’s invaluable benchmarks on spend per attorney (SPA), Usage, Discount & Excluded Costs are available in this guide. Lead your contract negotiations from the data; see the marketplace from an industry-wide perspective. Assess the value of the firm's resources and learn key negotiation tools for optimizing results.